Twinkle Twinkle! 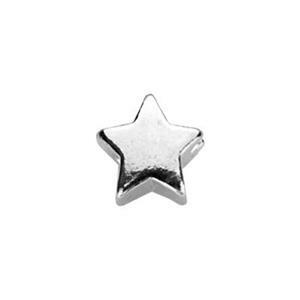 The TK245014 – a Bright Shining Little Cast Sterling Silver 6.3mm Star with a 1.2mm Horizontally drilled inside diameter hole. There will be no Wondering Where You Are with this little charm. Darling alone by itself – or create a small constellation with your jewelry design. Make it personal by stamping an initial in the center.